Second ATTS "TT" Temperament certified Caucasian in the US, foundation dam at Esquire Caucasians, dam of Ch. Esquire's Bruno TT, and my dear-to-heart girl. 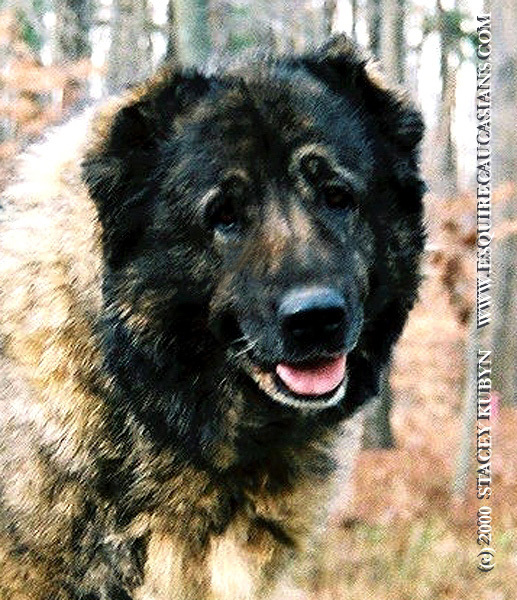 "Hema" was imported as a young adult from a factory guarding kennel in St. Petersburg Russia where she had already earned her first guarding certificate. Gentle as a lamb with family, loyal, loving, headstrong, not obedient, perfect judgment, and an uncorruptable guard, "Hema" has taught me the meaning of "One Correct Breed Standard Temperament". Our foundation at Esquire Caucasians.